Are you an Uninsured Motorist In New Hampshire? But 47 states (such as Texas) require every driver to have a minimum amount of liability insurance. They also require insurers to include UM/UIM insurance (for uninsured and/or under-insured motorists.) In a perfect world, everyone has insurance and no one would need this kind of coverage. The reality is that despite the legal requirement, people still drive without insurance on public roads. New Hampshire allows you to drive without car insurance, with one caveat. If you chose to forego car insurance, you must have sufficient financial resources available to cover any damages and other costs should you be involved in an accident. The irony is that many people who chose not to have insurance do so because they don’t have sufficient financial resources. All policies issued in New Hampshire must include uninsured motorist insurance. This part of your policy covers an accident when you’re hit by someone without insurance. Although the law requires a driver to maintain alternate financial arrangements to cover accident losses, the other party may not have any. In this case, you’ll have to turn to your claim over to your own insurance company. You may think of an “uninsured accident” as a hit-and-run. That’s true, but they don’t always flee the scene of the accident. When someone hits your vehicle and causes damages greater than $1,000, his or her driving privileges are suspended. They are required to make restitution to you and the state. Restitution includes a copy of the police report, a written estimate of damages and a written request for the state to take action. If you are unable to reach an agreement with the other party, the state suspends uninsured driver’s license. He or she has to post financial restitution for the full amount with the state’s Department of Safety Crash Unit. The state reinstates their driving privileges once they meet the requirements. If the individual doesn’t have sufficient assets to cover your losses, you’ll file a claim with your own insurance company under the UM/UIM policy. 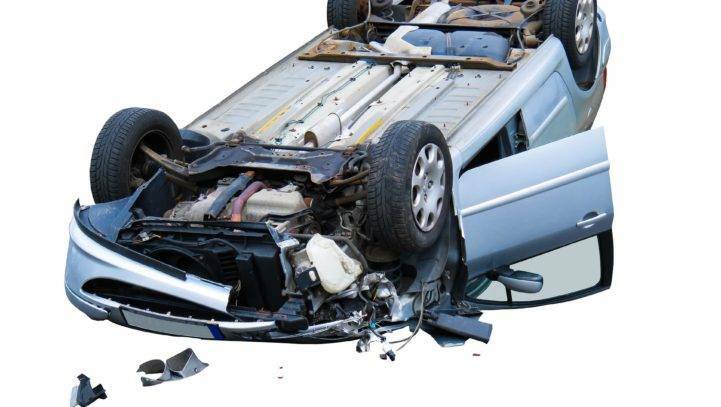 This type of claim may be more complex, depending on your insurance company, and may involve different requirements than a standard accident claim, and you’ll only be able to collect up to the limit of your policy. Should the other driver have insufficient assets to cover your losses, you may have a difficult time collecting on any judgments. Before you give any statements or consider any settlement offers, consult a lawyer who understands uninsured motorist claims in New Hampshire. We understand how insurance companies work, even with uninsured motorists. A lawyer can protect your rights and make sure you understand what you need to do. These are two distinct types of coverage, even though they’re usually together in the same policy. Under-insured means someone has insurance, but the most basic with the lowest coverage. It’s usually insufficient to completely cover losses from a car crash. If you’re in an accident with an under-insured individual, your insurance will only be used if the bulk of your damage exceeds the limits of the other person’s policy. New Hampshire does not allow “stacking,” or collecting damages from more than one policy for the same accident. New Hampshire’s statute of limitations for filing an accident claim is three years from the date of the accident. If you don’t file by then, you will be unable to sue or get a judgment, and lose your right to any compensation. That’s why it’s best to find a lawyer who understands uninsured motorist accidents as soon as you can. You can’t actually sue your insurance company if you don’t come to a settlement agreement. You’ll have to go through binding arbitration instead of a trial. Instead of a judge, a mediator works to resolve a disagreement instead of a judge. Like a trial, an uninsured driver lawyer will fight for you and protect your rights. As daunting as it is, an accident with an uninsured individual may not be as difficult as it seems. The other party may have assets that can help you recover for your losses and injuries. But you won’t know until you speak with an experienced uninsured motorist lawyer to find out. Cohen & Winters has been fighting for New Hampshire accident victims for nearly twenty years, and we can help you too. Contact us today at (603) 224-6999 (or use our contact form) to schedule a free 30-minute consultation to discuss your case. Our contingency arrangement means you won’t owe us a fee unless we win your case.